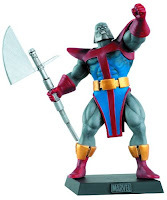 Terrax the Tamer is a fictional Character that appears in the comic books published by Marvel Comics - More about Terrax Character Review...Keep reading !! Tyros is an alien with a genetic mutation that gives him a limited mental ability to manipulate the molecules of rock and earth. 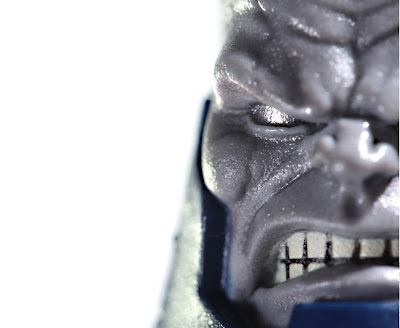 After being transformed by the cosmic power of Galactus, the character can perform feats as fine as manipulating sand and as grand as causing volcanic eruptions and moving asteroids; meteors, and planetary masses from space at high speeds; shift tectonic plates to cause earthquakes and create chasms, and levitate large land masses miles into the air. Like all Heralds, Terrax possesses superhuman strength, stamina, reflexes and durability; energy projection; force fields; warp speed and is immune to the rigors of space. The character further possesses a cosmic scythe which he sometimes directs his energy attacks through. Terrax appears in the Fantastic Four TV series, voiced by Tony Jay in Season One and by Ron Feinberg in Season Two. In the episode "Silver Surfer and the Coming of Galactus" Pt. 2, Galactus summons Terrax and Firelord to hold off three of the Fantastic Four while he assembles his machine that will enable him to consume Earth. Terrax fought Thing in battle. Once Galactus finished assembling the device, he sent Terrax and Firelord away. In the episode "To Battle the Living Planet," Terrax was seen with Galactus when the Fantastic Four arrive to beg Galactus to help them into fighting Ego the Living Planet. In the episode "When Calls Galactus," Terrax tricks Galactus into consuming a poisonous planet and tries to get the Fantastic Four to finish off Galactus. The Fantastic Four managed to defeat Terrax as Galactus reduces Terrax to an alien worm. 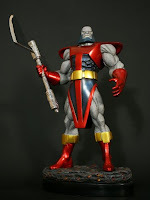 Terrax appears in The Super Hero Squad Show episode "Last Exit Before Doomsday", voiced by Ted Biaselli. He is seen as one of the Heralds of Galactus. Terrax appears in The Avengers: Earth's Mightiest Heroes episode "Avengers Assemble! ", voiced by Kevin Grevioux. 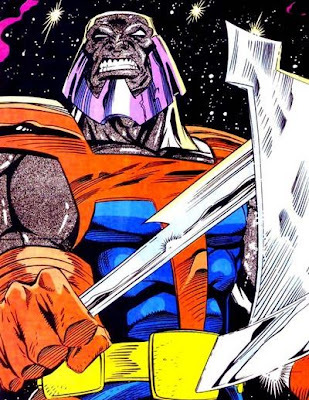 He is seen as one of the Heralds of Galactus and is depicted as an Earth construct rather than an actual alien. Terrax was the first of the Heralds of Galactus to arrive and single-handedly took down the Avengers. The Avengers called in their allies to help fight the Heralds of Galactus as Captain America leads Iron Fist, Quake, Spider-Man, and War Machine to fight Terrax. He is destroyed by Iron Fist and Captain America.